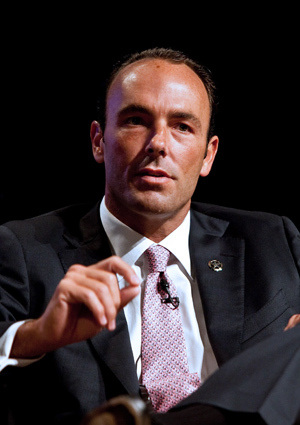 Short Japan was Kyle Bass’s Best Idea at Delivering Alpha. Did he get his timing right? Japan has had nine finance ministers in the past six years, and five in the past three. 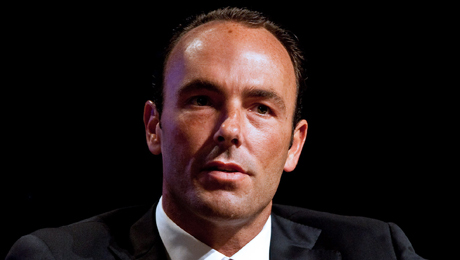 To hedge fund manager Kyle Bass, this is a revealing statistic. 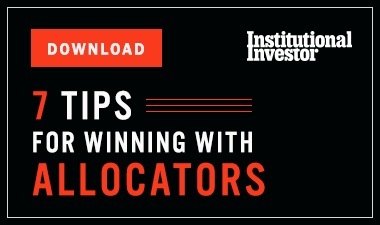 The founder of Dallas-based Hayman Capital, who may be best known for predicting the subprime mortgage housing crisis, told the Best Ideas panel at last Septembers Delivering Alpha conference that the Japanese government bond (JGB) was the riskiest it has ever been in its history, and through the convention of Black-Scholes, the optionality on that bond is the cheapest it has ever been. So short Japan. Bass cited the disparity between the central governments annual spending ( ¥ 92 trillion or $1.2 trillion) and tax revenue (¥44 trillion) as an indicator of failing economics. Half of the spending was on debt service, he said, and half of that on interest. Noting that Italy went into full crisis with only a 100 basis point shift, Bass asserted that a small, 200 basis point shift in cost of capital could push Japan into what he calls the Keynesian endpoint, that is, the point at which debt service exceeds revenue. A minute move can put them into checkmate, he said. Critical to the fate of Japan, Bass explained, was the outcome of the European debt crisis. As soon as Greece has a hard default and the dominos start falling, a loss in qualitative belief in Japan will occur. Greece of course defaulted back in March. So how has Basss prognostication of Japanese turmoil played out? Well, the country is still functioning, but the question is whether it can keep functioning efficiently. The yen continues to be a safe-haven currency for investors. Japan does face debt problems, though. Its debt-to-GDP ratio is a whopping 230 percent (the U.S. hit the 100 percent mark in February). Historically the country has relied on domestic help to fund its debt. The Japanese are known to hold JGBs even at miniscule rates. But foreigners have been buying up more JGBs as a safe haven against the euro crisis, and the instability leaves Japan more susceptible to a yield spike. Yield rates have made small downward movements since Basss prediction back on September 14th. The 1-, 3-, 5- and 10-year rates have dropped from .119, .170, .340 and .993 down to .106, .103, .218, and .839, respectively. Genji Tsukatani, head of the Japanese fixed-income team for J.P. Morgan Asset Management in Tokyo, believes Basss ideas are grounded in reason, but the timing may be premature and the end result not guaranteed. Over the next six months, at this point I really dont see any difficulty with JGBs holding steady, says Tsukatani. The problem could arise over time, he notes, as demand for the bonds has remained strong. European investors have flocked to Japan in the wake of euro zone troubles, and the Bank of Japan has bought up bonds since last February and will continue to do so through next June. If demand outweighs supply, it could lead to a gradual decline in the JGBs. 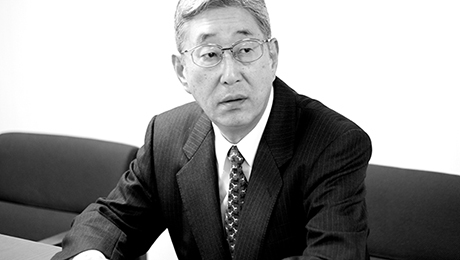 Chotaro Morita, head of Japan fixed-income strategy at Barclays Capital  and a third-teamer in the 2012 All-Japan Research Team  does not foresee the imminent capital flight happening anytime soon. The country is facing an age disparity, with an older population now spending in a culture known for saving, which could lead to an eventual large trade deficit. But for now, Japan is in a position to efficiently maneuver its fiscal position, says Shogo Fujita, chief Japan bond strategist at Bank of America Merrill Lynch in Tokyo and second-place in fixed income in this years All-Japan Research Team. In the interim, business is continuing as usual. The quarterly Tankan confidence index showed improved perception of the Japanese economy, moving from minus three up to minus one. Big manufacturers are still showing trepidation, though, as the negative value of the index indicates. Big nonmanufacturers were much more positive, with a plus-eight index. Basss assertions about Japan cannot be written off just yet, but he may have to stick with his long volatility position for longer than he expected to cash out. For now, the consensus seems to be his timing is off by a few years. It is now nineteen years and counting. I understand speculators such as Mr. Bass are aiming at collapse in JGB, says Morita. But I dont think they can make money easily from such speculative trade in the next five years at least." CNBC and Institutional Investor will be teaming up for Delivering Alpha again on July 18 in New York City. 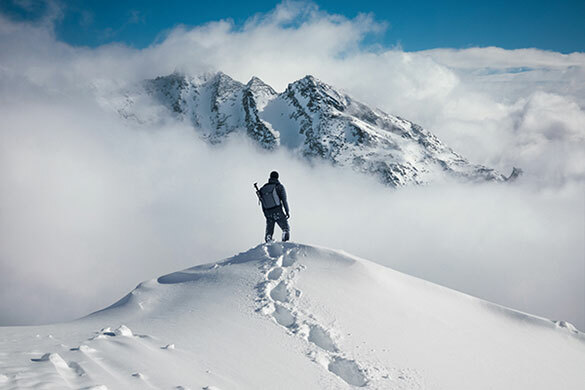 Leading up to the conference, we will be sifting through the best of last years Delivering Alpha and previewing this years content, which includes the return of Treasury Secretary Timothy Geithner as keynote speaker. Well also have two of his predecessors at Treasury in Hank Paulson and Robert Rubin, as well as Preet Bharara, U.S. Attorney for the Southern District of New York. And from the ranks of the countrys best investors well have private equity giant Henry Kravis of KKR, Leon Cooperman of Omega Advisors, Pete Briger of Fortress Investment Group and William Ackman of Pershing Square. For the full agenda, visit the Delivering Alpha website.